Obituary for Mildred (Millie) Louise (Green) Davis | Fletcher Funeral & Cremation Services, P.A. 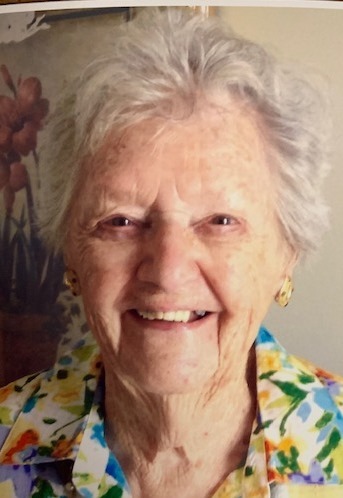 Mildred “Millie” Louise (Green) Davis, 97, of Hanover, Pa., passed away peacefully on April 7, at Homewood at Plum Creek in Hanover with her family by her side. Millie was born August 9, 1921, in Westminster, Md., where she lived, married and raised her children until her move to Plum Creek retirement community in 2006. She was one of the kindest and most generous people you could ever meet and was the most selfless person, always positive in her outlook and faithful to her God. She was a member of Westminster Church of the Brethren. She was a marvelous homemaker and cook who worked for several years in Westminster’s public school cafeterias and still enjoyed preparing home-cooked meals for herself. Her handwritten thank-you notes for any kindness were cherished by all. Her daily reading of the newspaper and devotionals kept her mind sharp. She was predeceased by her loving husband, Gerald William Davis, who passed away in 1981. She continued to live independently for the rest of her life in loving devotion to her family and friends. She learned to play golf in her fifties, volunteered for Meals on Wheels, and crocheted afghans for all her grandchildren. She is survived by daughter Judith Ann England and her husband Ronald of Littlestown, Pa.; and from Westminster Joyce (Pinky) Elizabeth Muller and her husband Harvey; and Glenn (Hank) William Davis and his wife Debby. Millie was also a loving grandmother to five grandchildren, five great-grandchildren, and two great-great grandchildren. Their photos decorated her Christmas tree. Her parents, Ray and Lizzie May (Stocksdale) Green, and four older sisters and younger brother, all predeceased her. The family will receive friends on Thursday, April 11, 2019 at 10:00 A.M till 11:00 A.M., at Fletcher Funeral & Cremation Services, 254 E. Main St., Westminster. Services will begin at 11:00 A.M. Private Interment will follow at Pipe Creek Cemetery. In lieu of flowers, memorial contributions may be made to the Westminster Church of the Brethren or to Homewood at Plum Creek. Arrangements by Fletcher & Cremation Services in Westminster.